Miniature figure of a man from St. Vincent Island in the Grenadines. The doll is handcrafted from stuffed cloth, with wire for support. 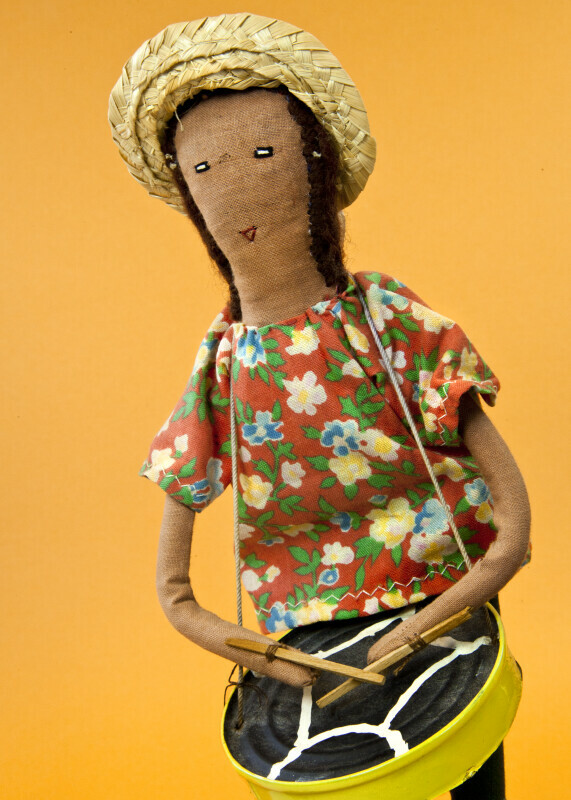 His face is hand stitched, and he is wearing shorts, a print shirt, and straw hat. His hands are holding small sticks to play the steel drum that is looped around his neck. Tag: "The Grenadines of St. Vincent 1983”. The figure is 10 inches (25 cm) tall.